No matter where you are located in Kansas, the Brave Law Firm, LLC is ready to assist. 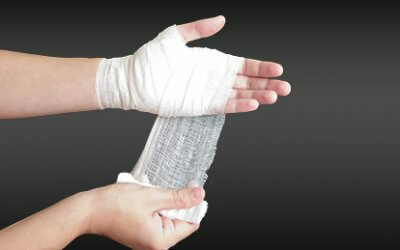 You need a personal injury lawyer with experience to help you get your life back together. Have you recently been arrested and charged with a crime? It’s times like these when you need an experienced winner on your side. We represent clients ranging from entrepreneurs and small, local entities to large firms and regional agencies in federal, state and municipal courts. When you or a loved one has been injured in an accident, it can be an overwhelming experience that changes your life in an instant. You feel scared and confused, and are suffering from physical and emotional trauma. There is also the financial burden of medical bills, property damage, lost work wages, car repairs, and a wide variety of other expenses related to the accident. Taken together, these factors create unbearable amounts of stress in the lives of victims. This is why you need an experienced attorney in your corner who has your best interests at heart. Stephen L. Brave and our attorneys of Salina and Wichita, KS are ready to fight for your rights! Brave Law Firm will use our talent and training to win fair compensation for your pain and suffering. 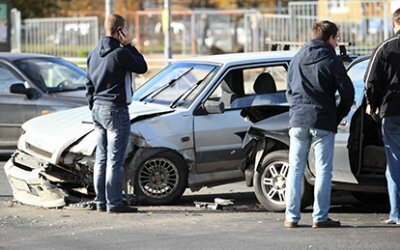 Our attorneys of Wichita and Salina, KS have years of successful litigation experience in car accidents, tractor trailer accidents, motorcycle accidents, pedestrian accidents, wrongful death, construction accidents, aviation accidents, uninsured/underinsured motorist accidents, and personal injury cases. The Salina and Wichita, KS attorneys of Brave Law Firm are proud to serve the people of the community by providing superior representation. Our attorneys get positive results, while treating every client with the integrity and commitment they deserve. Call our offices for a consultation so we can review your case. Our attorneys of Wichita and Salina, KS are ready to assist you! You need an experienced personal injury attorneys in Wichita, KS & Salina, KS that will go to bat for you and get you compensation you deserve for your pain and suffering. My Settlement was $550,000. I trust Brave Law Firm to get me the settlement I deserve! My Settlement was $4,000,000. Brave Law Firm was on my side and fought for my case! My Settlement was $100,000. After my accident I would not have been able to support my family if it were not for Brave Law Firm. My Settlement was $870,000. Brave Law Firm fought for a fair settlement!